Alexander Salmon was born in London, England in 1820. In 1839, Alexander Salmon and his three brothers left the home of their wealthy father to seek their fortune in San Francisco, California. The Salmon brothers met import export merchant, George William Dunnett, whose ships brought goods from the Pacific Islands to the mainland. 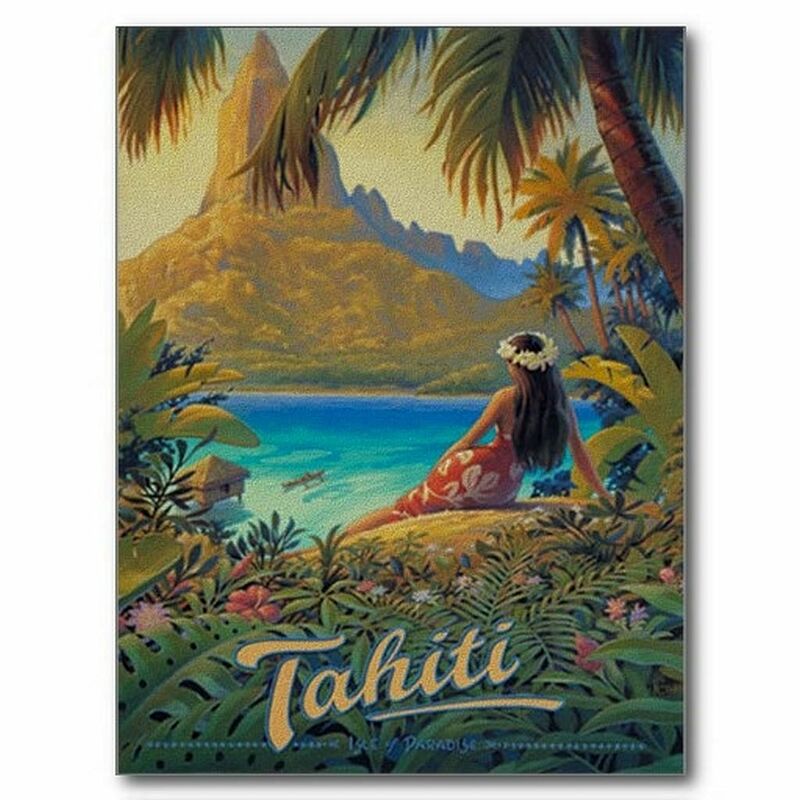 Alexander Salmon began working for Dunnett – destination: Polynesia. In 1841, Alexander Salmon arrived in Tahiti. He was immediately welcomed into Queen Pomare IV’s court, due to his intelligence, cultured upbringing, and manners. Princess Arrioehau, “Princess of Peace,” granddaughter of Chief Tati, adviser to the royal family, fell in love with Salmon at first sight. However, in 1837, a law was passed making marriages between natives and foreigners illegal. After their marriage, Salmon turned his career focus from import-export to agriculture. He planted coffee and oranges among the coconut groves on his wife’s land in Tahiti, Moorea and Papara. Alexander Salmon worked to bring about a French Protectorate over Tahiti. He and his bride Arrioehau became diplomats, supporting the Queen in her dealings with England and France. 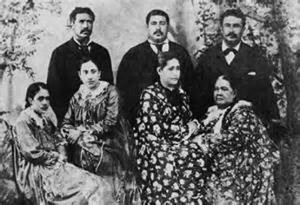 They helped return the Queen to power in 1847 and restore peace in Tahiti. For his work, Salmon was awarded the Legion of Honor. Alexander Salmon was also an Honorary Consul for the United States, and served as President of the Chamber of Commerce. 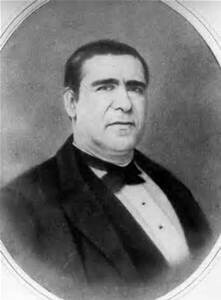 He was Vice President of one of the courts and a member of the Administrative Council. Salmon served as President of the Papeete Masonic Lodge. 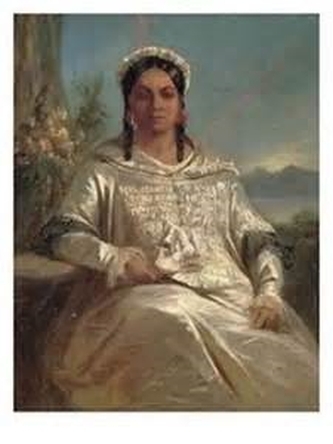 Alexander Salmon and Arrioehau (1824–1897) had 9 children: Tetuanui Reiaitera’iatea Titaua (1842–1898), Ernest Tepauari’i’iahurai (1843 –1844), Ari’ino’ore Moetia (1848–1935), Ari’i Teuraitera’i Tati (1852–1918), Alexander Ari’ipaea Vehiaitipare (1855–1914), Jean Nari’ivaihoa Tepau Marama (1856–1906), Queen Johanna Marau Ta’aroa a Tepau (1860–1934), Lois Beretania (1863–1894), and Alexandria Manihinihi (1866 –1918). 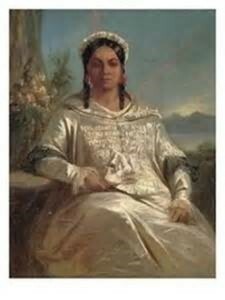 Johanna Marau Ta’aroa a Tepau married Prince Ariiaue – later known as Pomare V, the last king of Tahiti. While Alexander Salmon was baptized by the Protestant Church and his descendants became practicing Christians, they continued to acknowledge their Jewish heritage. Alexander Salmon died in 1866. Ida G. Cowan, “Alexander Salmon: The Jew Who Married into the Royal Family of Tahiti,” Western States Jewish History 36/3. Samantha Silver is curator of this Alexander Salmon exhibit. The Jewish residents of Loonka*, in the Fiji Islands, have already established a little congregation (minyan), and hold services weekly. Mr. P. S. Solomon officiates as reader. *Loonka is probably Levuka, the capital of Fiji at that time. *Lenika is probably Levuka, the capital of Fiji at that time.